The AgShare.Today editing team has seen great success in 2017, supporting scientists on a range of research projects to publish papers and improve writing skills. This year nine MSc and PhD students have had their articles accepted for publication in international journals following support from AgShare’s editors. One author has had two articles accepted, bringing the total up to ten published articles. 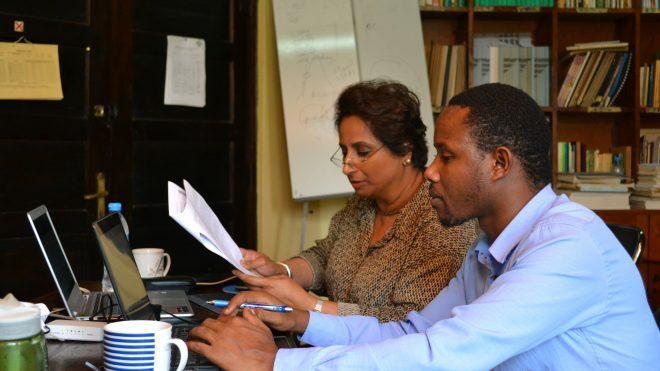 The AgShare.Today programme provides expert one-to-one mentorship in journal article writing. Since the project started, the editing team has worked on over 60 manuscripts across AgShare’s partner projects, delivering not only a professional editing service but also one-to-one mentorship for researchers. 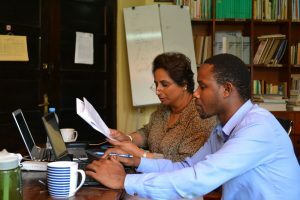 The mentoring process helps researchers develop their skills and see long-term improvement in the quality of their writing, and as such prepares them to produce quality manuscripts in the future. This mentorship is made possible by the expertise of AgShare’s editors, who have a strong understanding of the topics they are addressing (owing to their PhDs in agriculture-related subjects) and many years of teaching and editing experience. One example of a scientist who has benefited from AgShare’s editing and mentorship is PhD researcher Esperance Munganyika from Rwanda. In October 2016 Esperance worked over Skype with an AgShare editor with expertise in plant pathology to edit her manuscript and improve her writing skills. Thanks to this collaboration, Esperance’s paper was accepted by the Wiley journal Plant Pathology in Autumn 2017, pushing her career to the next level as a published researcher. Now in its third year, AgShare is continuing to support the publication of African crop research in high-impact, international journals, helping scientists in Africa launch their research on the world stage. If you would like to know more about AgShare.Today, please email e.moulding@agshare.today.